The FMB Titan+G is equipped with manual operation combining the operation of a circular cold saw with the speed of an abrasive saw along with the capacity of a traditional band saw. 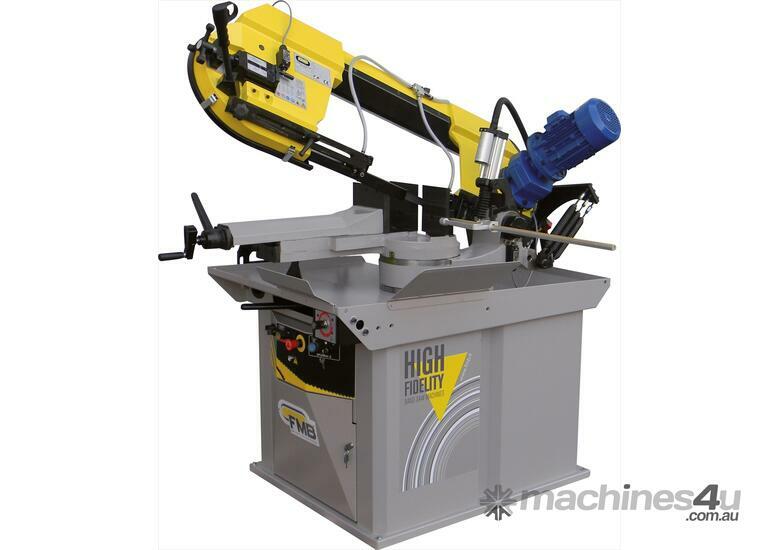 Due to the cutting accuracy and squareness, large capacity and pivoting saw head, FMB manual mitre bandsaws are ideal for a wide range of applications and material. Complete specification as per the attached brochure. Call or visit our website today for more information on our comprehensive range of bandsaws available for immediate delivery.